The Gloss Paint. Wet abrasion class 1. 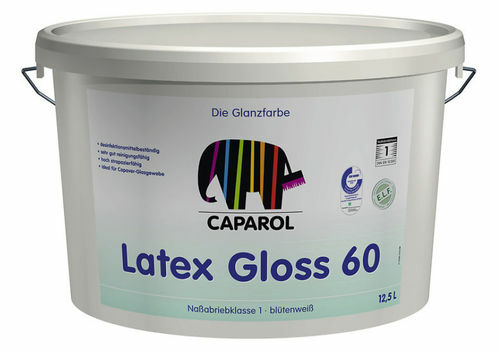 For glossy, heavy-duty interior coatings, on surfaces subjected to high mechanical loads or heavy soiling. Perfectly suitable for coatings on Capaver glass fabric wall coverings to accentuate the textile textures. Easy to clean and resistant to aqueous disinfectants and household cleaners. Synthetic latex as per DIN 55945.